Do I need to get an ITIL certification? even if I’m not in a managerial position? It is worth it to get an ITIL certification? How a DBA fits in the ITIL framework? In these two blog posts, I will do my best to share my personal experience on how I got my ITIL v3 Foundations certification and also how this certification helped me to advance in my career. 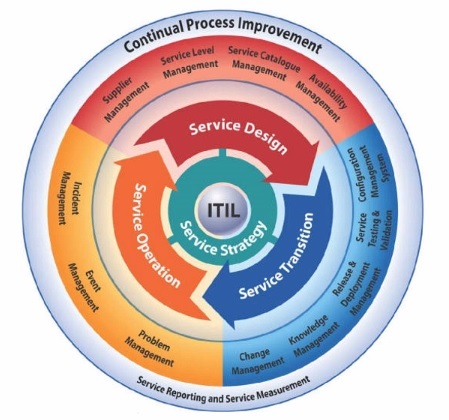 ITIL stands for Information technology infrastructure library, and is a set of detailed practices for IT service management (ITSM) that focuses on aligning IT services with the needs of business. More and more companies nowadays are (or did already) adopting this service management framework as part of the IT organization. The day to day DBA activities maps perfectly within the ITIL processes; incident management, request fulfillment and change management are the most common areas where a DBA will be involved and that’s why it’s so critical and important for us to understand the ITIL framework in great detail. Please stay tuned for the part 2 of this post.